Developer Alexander Sviridenkov has updated his HTML Component Library for Delphi XE7 Firemonkey with a bunch of new functionality. There are quite a few added features in this release including things like exporting to PDF on Mac OSX, Adaptive Zoom support in the Firemonkey version, CSS support enhancements, and rendering speed improvements. We’ve covered this component library a few times before and it’s nice to see it getting enhanced frequently. It supports all four Firemonkey platforms which are Android, IOS, OSX, and Windows. The main goal of this HTML component library is to allow you to use HTML in your components with 100% native Object Pascal code which doesn’t require any DLLs or other third party libraries to render. This is a commercial library but there are demos for you to check out which work on Windows, Android, and Mac OSX. Additionally, there is a trial version which you can test yourself to see if it fits your needs. These components should also work for you in Appmethod. 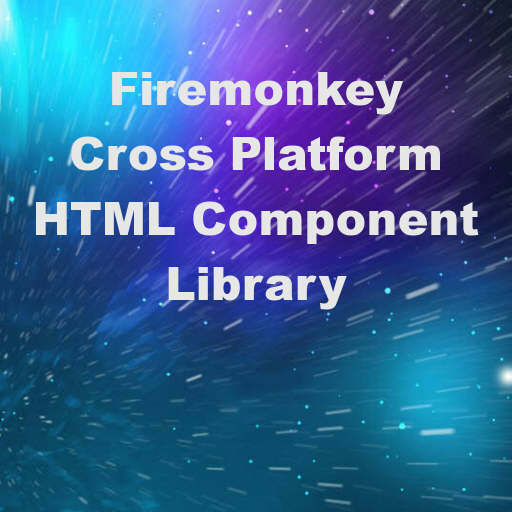 Head over and check out the free trial of the HTML Component Library for Delphi XE7 Firemonkey on Android, IOS, OSX, and Windows.